Today we will explain to our audience What Is VMware Identity Manager. One might think that it is a new VMware product, but no, it’s just re-named VMware Workspace Portal. VMware Identity Manager has two editions. Standard and Advanced. 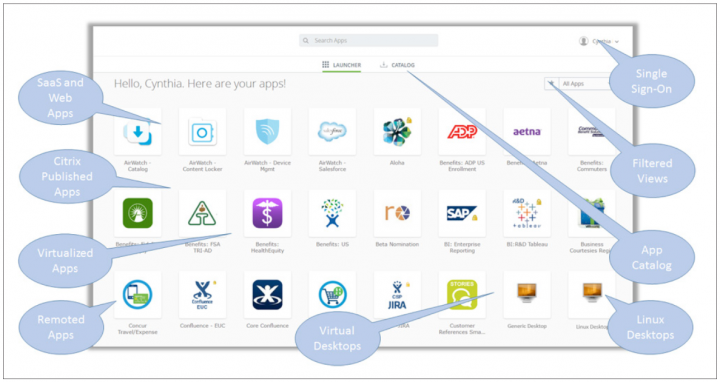 VMware Identity Manager Advanced Edition includes AirWatch device registration for one-touch SSO from smartphones, tablets, and Windows 10 devices. The Standard Edition is packaged in Horizon Advanced and Enterprise and provides SSO for Horizon RDSH Apps, desktops, ThinApp and SaaS apps and is ready for integration into AirWatch environments for mobile and SaaS apps. VMware Identity Manager (VIM) can be installed on premises. We have done the installation of the appliance when the product’s name was still Workspace portal and it is part of our VCP6-DTM exam Study guide series – VCP6-DTM Objective 6.1 – Install VMware Workspace Portal. You can check it out. The product deploys itself as a single virtual appliance (OVA format). The web-based administration is the only way to administer the product, there is no any other special console. Worth to note that you only need Windows agent to be installed, in case you’ll be using Horizon View Applications as a part of the portal. The same for Citrix. If you don’t use Citrix, you don’t need to deploy the Xenapp Integration Broker for XenApp farms. What products or app can be integrated into the portal? VIM Advanced only – AirWatch console for certificate-based authentication. 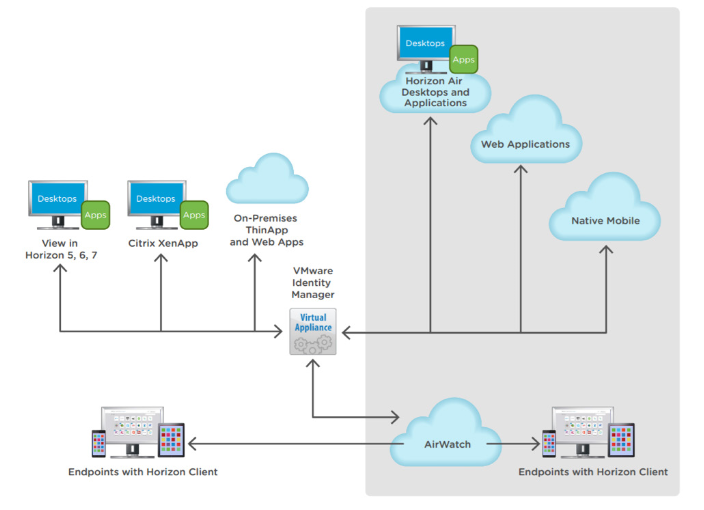 Download the latest Identity Manager Reviewer’s Guide (PDF) from VMware blog post here. This guide is a very good guide if you want to do a POC, but it’s not an enterprise deployment guide. For that, you should consult Administration Guide or Installation guide which can be found at the product’s site. VMware Identity Manager is a central piece of management software which integrates different types of apps and technologies in order to deliver those apps to the end user no matter which device he/she is using. Whether you’re using RDHS, Citrix or View, VIM can be the main portal for enterprise apps managed/updated/deployed, by IT administrators. The built-in catalog allows self-service deployment and assignment of apps to the end users too.